With considerable public investment in R&D, a high proportion of its active population holding university degrees or working as researchers in the business sector and a very high number of companies with broadband Internet access, the Basque Country has an innovation capacity beyond that of countries such as Sweden or Finland. Traditionally, Bizkaia has been an enterprising region with eyes set on the future. If in the nineteenth and the early twentieth centuries it was the cradle of the iron and steel industry and the shipbuilding sector, today it bets strongly on technological innovation. The Basque Country (PV in the chart below) has an innovation capacity on a par with such countries as Sweden or Finland, thanks to its robust business fabric, with numerous technology-based organisations and programmes promoting innovation, especially in the private sector. All these factors have favoured a more sustainable economic growth model than in the surrounding regions and helps withstand the economic crisis in better shape. In the Basque Country there is a remarkably high number ofresearchers in the private business sector – 65.65%–, a level similar to those in the European countries and regions with the highest potential for innovation (60%), as seen in the Altran Regional Index for the Basque Country. 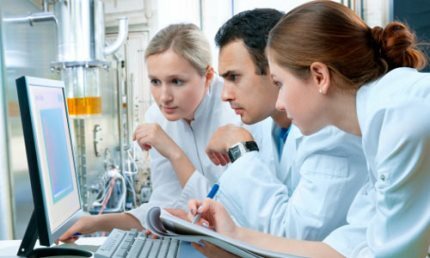 According to ‘Research and Development Activities in the Basque Country’, a survey published by the Basque Statistics Institute (Eustat) in December 2012, there were 8,210 people working in R&D in Bizkaia in 2010. 66.7% of them were researchers. As for the proportion of companies with broadband Internet access, the Altran Index informs that the value for the Basque Country is 97%, higher than the EU average, which amounts to 84%. Dynamism and capacity for innovation characterise Basque companies, which get support from organisations in various industrial sectors that were established to develop industries on the basis of technical and business cooperation between members and also with third parties, as reflected in the Altran Regional Index for the Basque Country in 2012. The Altran Index for Potential of Innovation, a tool for assessing the extent to which countries and regions in the European Union (EU) succeed in developing an environment that will nourish the potential for innovation and their ‘chances to improve this potential,’ indicates that the Basque country is an autonomous community ‘with a very high potential for innovation as compared to the average of the European countries included in the survey’. In fact, the subindex for the Basque Country is the highest in this model (1.0), the same as Sweden’s or Finland’s. Moreover, the index for the Basque Country is twice as high as the European average (0.47). The Basque Country leads the rankings for three of the four components analysed in the Altran Index model: highly educated workforce, business and industry researchers, companies with broadband connection and employment in high-tech services. As regards the first of the components mentioned, workers holding higher education degrees amount to 44.1% in the Basque Country, way above the average percentage for the EU (25.9%). In Bizkaia, four out of ten people who have a job hold a university degree, as stated in the report prepared by the Bizkaia Labour Observatory for Q4 2012. Furthermore, according to this report, four out of ten workers do technical or professional jobs.